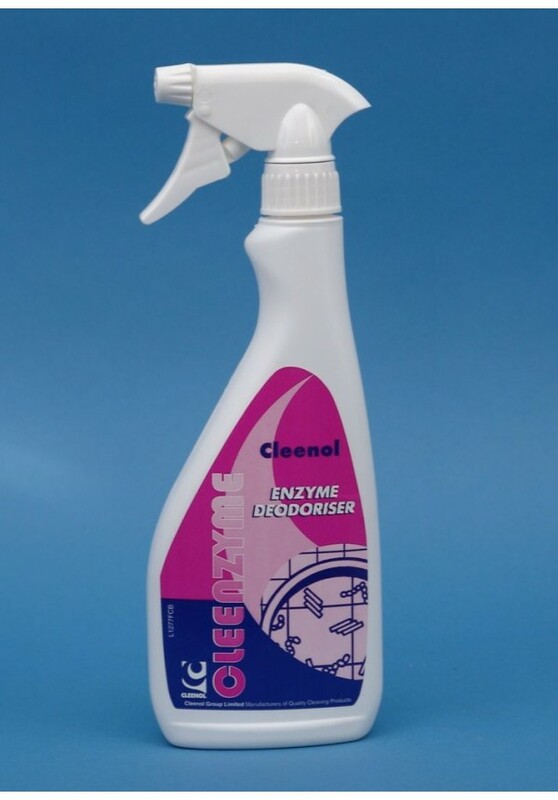 An enzyme-based product which rapidly degrades organic material, dispelling odours on contact with urinals, wall tiles, floors, walls, soft furnishings and carpets. A pale brown liquid with a pleasant vanilla fragrance designed to remove odours from hard surfaces, WCs, urinals, floors, soft furnishings and carpets. This is a natural product. Its colour may vary and a small amount of sediment may be noticed. This is quite usual and does not affect the performance of the product. Leaves a refreshing vanilla fragrance. Spray product liberally onto source of smell. Rub into infected area. The product contains a cleaning agent and should any stubborn stains remain, repeat above action, and agitate with a brush. Smells will be noticeably less in one hour. For areas that have smelt for some time, several applications may be required.